Why compromise the banana flavor? 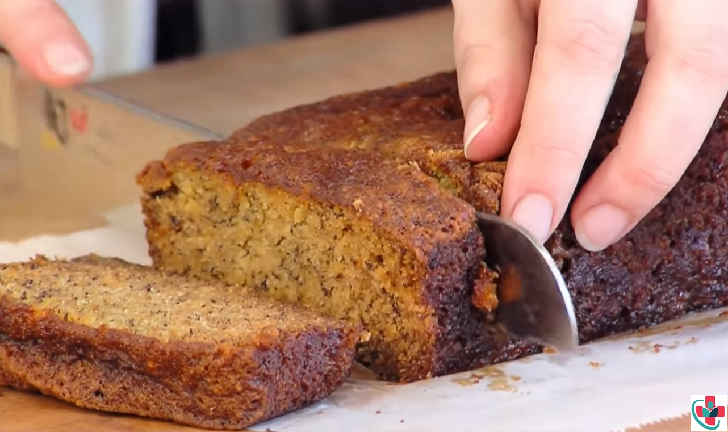 This banana bread is moist and delicious with loads of banana flavor! Friends and family love my recipe and say it's by far the best! It's wonderful when toasted!! Enjoy! ➭125 g butter, room temperature. ➭350 g ('overripe') bananas, mashed. Pre-heat the oven to 180ºC and grease and line a standard size loaf tin with baking paper. In the bowl of a mixer, beat the butter and sugar together until light and creamy. Add the eggs one at a time, mixing well after each addition. Beat in the bananas. At this point, your batter will split and it will look like you've messed it up. You haven't, just keep going. Sift together the dry ingredients then stir into the batter. Transfer the batter to the prepared loaf tin and place in the oven. Bake for 45 minutes until a skewer inserted comes out clean. Cover with foil halfway to prevent over browning. Remove from the oven and allow to cool before removing the banana bread from the tin. Slice and serve with hot tea. Dietary fiber is key to proper digestive health and relieving constipation. Bananas will act as a natural laxative. They will trigger regular bowel movements and keep your colon healthy. Just one banana contains 34% of the recommended daily value for vitamin B₆? This vitamin is important for overall health. Vitamin B₆ is an anti-inflammatory agent, supports the nervous system functions, helps reduce the risk of heart disease, and so much more.